The Lemur Conservation Network member of the month showcases our members’ work, and shares how we can help them in their battle for lemur conservation. The month of August is dedicated to Association Mitsinjo. In this blog post, we interviewed Rainer Dolch, the Senior Coordinator of Association Mitsinjo, who tells us all about their important work and how we can support them. Tell us a little bit about the history of Association Mitsinjo. Association Mitsinjo is located in the Commune of Andasibe, in eastern Madagascar. 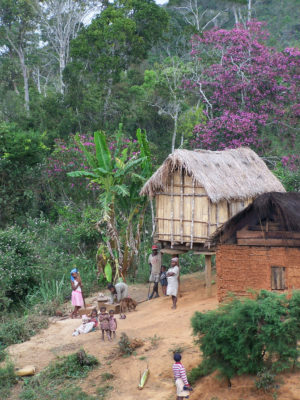 Association Mitsinjo was formed in 1999 as a grassroots village initiative by 13 community members from Andasibe. Originally created as an association of tourist guides, members soon began to also use their skills and experience for the conservation of the biodiversity of their region. Over the years of its existence, and having itself evolved from the community it is working in, Association Mitsinjo has developed into an important regional conservation organization. Its goal is to link conservation with sustainable development, maintain crucial ecological services through rainforest management and restoration and to provide alternative and eco-friendly income for local communities (through nature tourism, research or other). Where is Association Mitsinjo located? 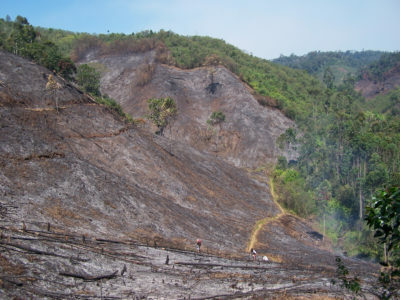 Slash-and-burn agriculture remains one of the biggest threats to lemurs and their habitat in the Andasibe region. Association Mitsinjo has its headquarters in Andasibe, Moramanga District, Alaotra-Mangoro Region. 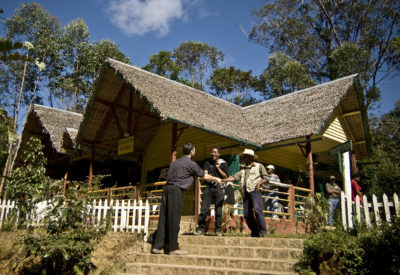 It manages the Analamazaotra Forest Station (“Mitsinjo Forest”), a several hundred hectar large rainforest immediately adjacent to Andasibe-Mantadia National Park. It also was one of the driving forces behind the creation of the Torotorofotsy Ramsar Site which it continues to co-manage with other partners. The association currently has about 60 members and contributors, all of which live in Andasibe Commune. Money generated through the association’s ecotourism activities directly benefits the local community and is reinvested in Mitsinjo’s numerous conservation projects. Indri are Andasibe’s most iconic species, protected in the rainforests managed by Mitsinjo. Andasibe’s most emblematic species is the Indri (Indri indri), whose loud territorial calls can be heard from two kilometers away. 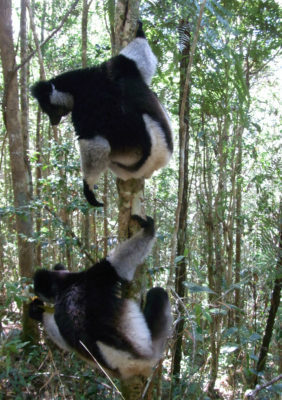 Association Mitsinjo protects nine groups of Indri within the boundaries of Analamazaotra Forest Station. Two of them have been habituated to human presence and can be easily visited in the presence of the association’s guides. Thanks to our close collaboration with the local communities, Association Mitsinjo has rediscovered the Greater Bamboo Lemur (Prolemur simus) close to Andasibe – in a geographic region where the species was believed to be extinct for more than a century! This discovery sparked subsequent research and surveys that have led to a vast extension of the known range of the species. 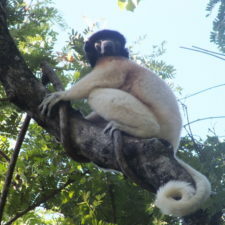 In total, the forests north of Torotorofotsy and surrounding the Ihofa river system are home to 14 species of lemurs. Association Mitsinjo tries to establish population figures and trends (as well as threats) through community-based monitoring. The focus of this monitoring is on the four Critically Endangered species of the region – Indri (Indri indri), Diademed Sifaka (Propithecus diadema), Black-and-White Ruffed Lemur (Varecia variegata), and Greater Bamboo Lemur (Prolemur simus). However, the remaining ten species and their conservation needs are also assessed. They include Aye-Aye (Daubentonia madagascariensis), Goodman’s Mouse Lemur (Microcebus lehilahytsara), Hairy-Eared Dwarf Lemur (Allocebus trichotis), Furry-Eared Dwarf Lemur (Cheirogaleus crossleyi), Greater Dwarf Lemur (Cheirogaleus major), Eastern Lesser Bamboo Lemur (Hapalemur griseus), Red-Bellied Lemur (Eulemur rubriventer), Common Brown Lemur (Eulemur fulvus), Eastern Woolly Lemur (Avahi laniger) and Weasel Sportive Lemur (Lepilemur mustelinus). How does Association Mitsinjo help lemur conservation? Mitsinjo is engaged in lemur research. Here, the radio collar on a Greater Bamboo Lemur is tested in the field. Association Mitsinjo generates some of its money through ecotourism. Visitors can explore the rainforests under Mitsinjo’s management and observe their lemurs in the presence of our specially trained nature guides. Several circuits (also at night) as well as longer treks are offered. The rainforest canopy can be explored in collaboration with Gasi’Climb – a group of professional tree climbers issued from Mitsinjo. 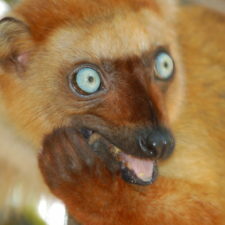 The money generated this way will be partly used to fund our lemur conservation projects. 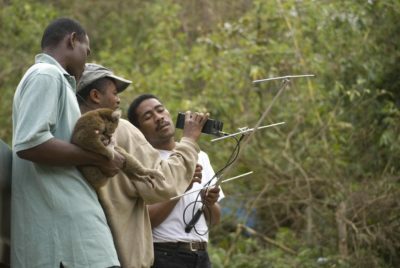 We also regularly invite both Malagasy and international researchers and encourage them to share their research results which will help us to improve our management and conservation efforts benefitting lemurs and biodiversity in general. Both tourist and researcher presence helps to discourage potential lemur poachers or other contraveners. Association Mitsinjo has a large rainforest restoration project. Over the years, we have planted more than a million native rainforest trees (in more than 150 species), which we raised in our own tree nurseries. With support of the Finnish Association for Nature Conservation and some smaller entities, this important task to restore habitat for lemurs (and create corridors between existing forests) is still going on. Tourists and members of the local community alike can participate in tree planting events. More than 450 schoolchildren are enrolled in Mitsino’s environmental education programme. 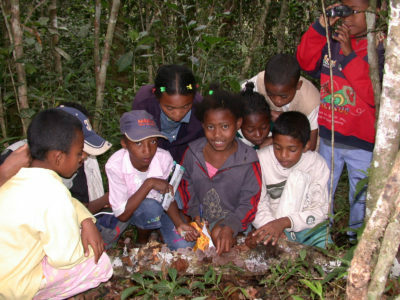 Reforestation is also an important part of Association Mitsinjo’s Environmental Education Project. Here, we work with schoolchildren aged 8-10 years. In a playful way, kids have the opportunity to learn about the environment, the biodiversity and ecology of their region and why it is important for both animals and people. The children both learn in the classroom and in the forest outside. All primary schools of Andasibe Commune are enrolled in the program, which is now an integral part of their curriculum. Through learning about the environment (and lemurs) children will also learn to cherish it, hopefully leading to increased conservation awareness as they grow up. Apart from lemurs, one other animal group in Association Mitsinjo’s focus are the frogs. Mitsinjo manages Madagascar’s first amphibian breeding facility, colloquially known as the “Toby Sahona”. Amphibians are not only threatened by deforestation and habitat loss, but also by devastating diseases such as chytridiomycosis. While increasing its knowledge about the husbandry and reproductive biology of Andasibe’s diverse amphibians, Mitsinjo hopes to be prepared if future developments should threaten the survival of certain species in the wild. Amphibians, as both predators and prey for numerous species, play a crucial role in the ecology of the Malagasy rainforest. Healthy amphibian communities indicate a healthy ecosystem – also for other species such as lemurs. What are some of Association Mitsinjo’s recent achievements? 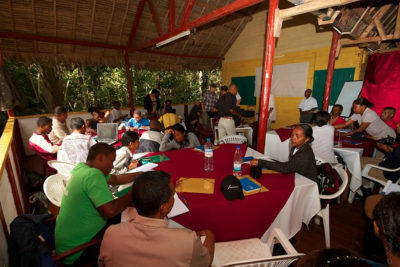 Workshops held at the Mitsinjo headquarters foster networking with other conservation organizations. Association Mitsinjo has been working closely with local communities of the Torotorofotsy-Ihofa region to set up a monitoring program for lemur species and the threats that they face. Local communities have been instructed how to gather relevant information. First results show that threats to lemurs (such as snaring or habitat degradation through logging) are decreasing – presumably aided by the sheer presence of the monitoring agents. We have encouraged the creation of a womens’ handicraft cooperative in Menalamba (Torotorofotsy). The women now earn a considerable income from weaving and basketry. The natural resources for their handicraft are plants that grow in the remaining wetlands of the Ramsar site. Areas where these plants grow will therefore be exempt from conversion to agriculture. The additional family income through handicraft sales generally reduces the dependency on unsustainable forms of agriculture such as slash-and-burn (and therefore conserves lemur habitat). Finally, Association Mitsinjo has recently built an Environmental Education Center. This will serve as a classroom for children enrolled in our environmental program. 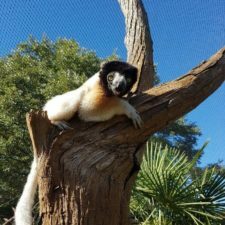 Also, adult visitors (from both the local community and outside) can learn about lemurs and their environment here. Mitsinjo is working closely with the local communities to promote the sustainable use of natural resources and improve livelihoods. What are some goals and expectations that Association Mitsinjo has for the future? Ultimately, we would like to achieve that local communities can make a living through the sustainable use of natural resources while conserving the rich biodiversity of the Andasibe area at the same time. In order for this to happen, collaboration between the different stakeholders present in the region is vital. All too often, encouraging achievements in conservation are unfortunately annihilated by corruption and/or a general disinterest in conservation by decision-makers. In that sense, we hope that conservation will become a central topic of local and regional politicians in the future and not just one one pays lip service to. Do you have volunteer opportunities at Association Mitsinjo? Association Mitsinjo has limited possibilities for volunteers. Ideally, volunteers should be proactive and independent and come with their own project in mind. Upon review, we will admit those volunteers whose proposed contribution is likely to improve our conservation outcomes. 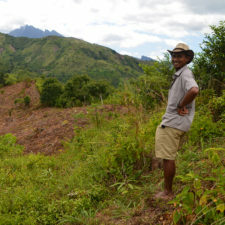 Association Mitsinjo runs tourism activities near Andasibe National Park in Madagascar. You will find their office and the entrance to their forest on the left side of the road leading to Andasibe village, 2 km after the turn off Route National 2 between Antananarivo and Toamasiana and 200 m before Andasibe National Park.